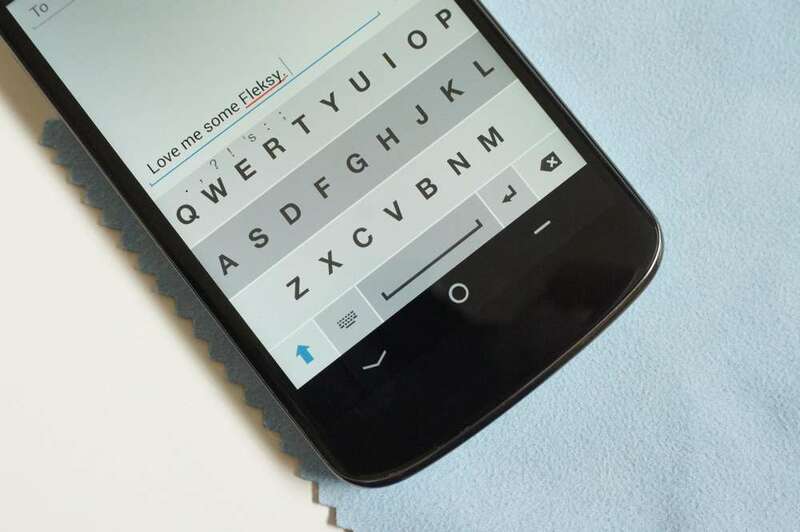 Fleksy, my new keyboard obsession on Android, received a solid update yesterday that makes it fully-resizable, reduces the file size of the app, and adds a ton of enhancements. One of those enhancements is a beautiful new “Vanilla” theme that really is as stunning as the original dark theme. Is there a better looking keyboard than Fleksy? For those new to Fleksy, you’ll need to join their beta test group on Google+ in order to give it a spin. It is free and open to join, so why not? The keyboard comes via the original developers of BlindType, as a keyboard that essentially lets you blindly type away, but is smart enough to figure out where you were headed. You can even fully hide the keyboard, giving you the ultimate full-screen typing experience. That feature alone is worth showing off to your friends. Again, I’m a huge fan of this keyboard and have made it my daily ‘board in favor of Swiftkey. It took a weekend to really get used to it, but I haven’t looked back in weeks. To grab the new beta, first join the group, and then follow the instructions to grab it through Google Play. Has anyone else fallen in love with Fleksy or am I standing alone? Fleksy is now resizable, from Full to Tiny! Introducing: Vanilla, Fleksy’s first theme!